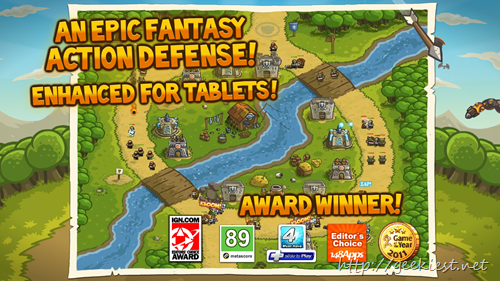 Kingdom Rush is a famous Tower defense game on Android devices from Ironhide Game Studio. The game was a paid one earlier and now the developers reduced the price from $0.99 to $0.00. Yes the game is Free now. 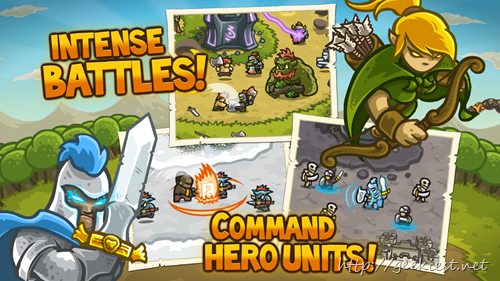 You will have to face the enemy waves by placing your towers and soldiers wisely. You also need to upgrade your weapons and hero to face stronger enemies. The game have 4 basic towers and 8 specialized towers. You will have to face 40 different types of enemies. When you finish each level, the stars you will get from them can be used to upgrade your weapons. 8 specialized tower upgrades to customize your strategy. Download size of the game is 173 MB and you will need Android 4.0 or higher. 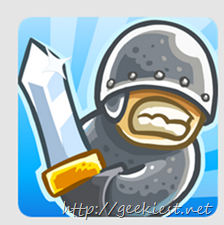 Famous tower defense game Kingdom Rush for Android devices are FREE now.